Doodles: My eyes! My beautiful eyes! There are several ways by which a pattern can join my collection - shockingly awful design, weird staging, or strange-looking model. I'm so glad to hear you were able to make another Meeting, although I know it must have taken all the energy you had left. I hope you won't relapse from this. Yes that photo is a hoot, esp. the hat! 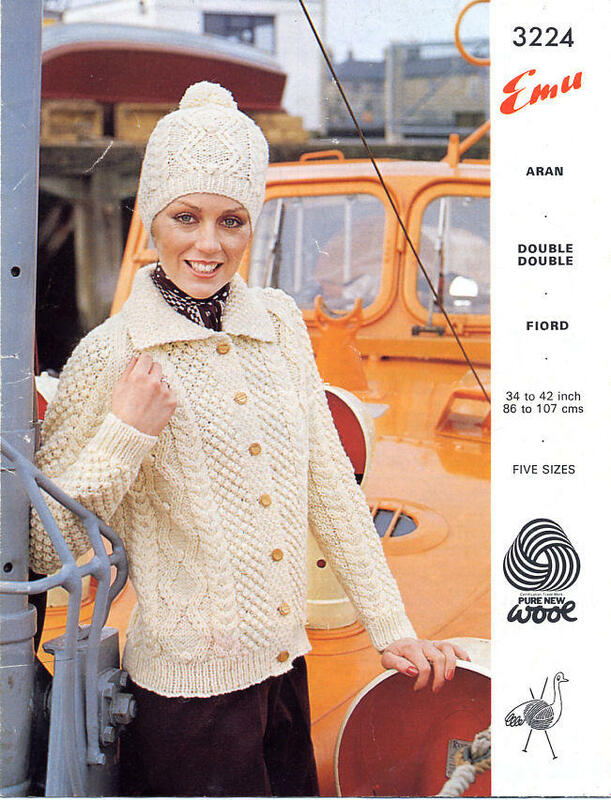 Surely that is the ideal wooly hat for a woman wearing an elaborate beehive hairdo! I hope your trip to Meeting hasn't knocked you out too badly. That is definitely Lorraine Chase! Who knew? Doh! Just posted that comment and viewed it to see a large "You knit what??" banner right next to it! ;D I'll shut up now!